What will you be doing at 1:59 pm today? Click here for information about Pi day! 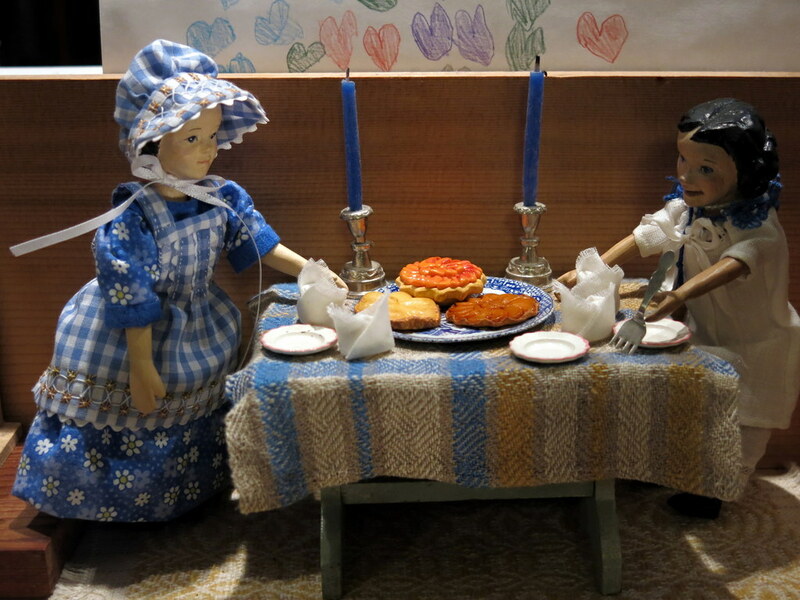 the pinny and bonnet are adorable. Enjoy the pie! Thanks! The chicken-wrangling was entertaining, and we liked the results! Happy Pi Day! Pi day tickles my fancy…. how wonderful to celebrate 3.14! We have been celebrating this day ever since we discovered it! What a great way (with pretty new clothes!-they’re lovely) to celebrate this awesome day. Thanks for letting us in on your PIcturesque, PIe-filled day. I wonder what Pinapple Pi would taste like? Pineapple Pizza Pie is exceptionally tasty! Made me smile!! 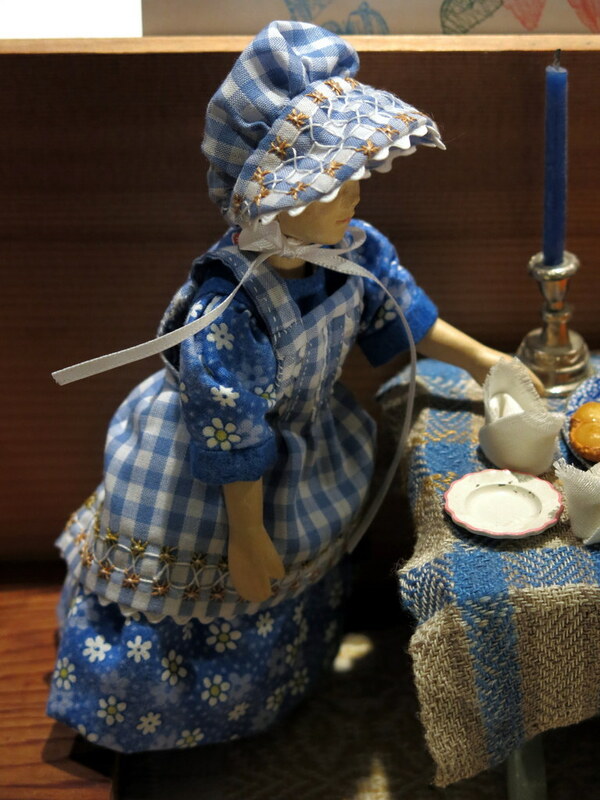 Love the photos and that wonderful pinny and bonnet!! Nearly 1:59 here in Mo…off to find some pie!! Any day with Pie in it is a good day, so say the Hittys! I think the gingham pinny vibe is definitely in the air…you trendsetter, you. Cute pinny, charming wall-covering, tasty pie! I have been wanting to try a smocked gingham Hitty dress – maybe that’s next! The Queen of Flowers drew the hearts for me! I’ll send you my pattern!